Following the mid-December announcement that McNally Smith College of Music would be closing this December, Augsburg University teams have swung into action to support McNally Smith students seeking to transfer in order to complete their degrees. Recognizing the urgency many McNally Smith students, including international students, are facing, Augsburg will enroll transfer students as quickly as this spring semester, which begins January 8. “We will do our very best to assist students through this process as quickly as possible,” said Augsburg University Registrar Crystal Comer. Augsburg and McNally Smith have an existing articulation agreement — a formal agreement that establishes transfer policies for specific courses or programs. Augsburg also is committed to carefully reviewing students’ courses that are not included in the articulation agreement for possible credit transfers. Augsburg staff will be on site at McNally Smith this week to help student understand their options. McNally Smith students also are encouraged to schedule an appointment with a transfer counselor at Augsburg via the web site: www.augsburg.edu/transfer. According to Augsburg Interim Vice President of Enrollment Management Nate Gorr, many McNally Smith students have already scheduled appointments. 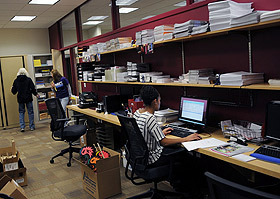 Students also can call or email questions to the Augsburg transfer team at transfer@augsburg.edu or 612-330-1001. 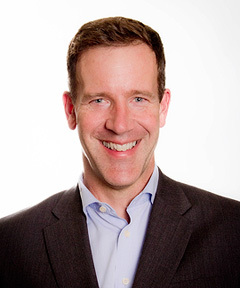 MINNEAPOLIS – Augsburg College today announced the appointment of William Mullen as vice president for Enrollment Management. Mullen will join the community in mid-July. The occupants of one of Augsburg’s newest construction projects have claimed their cubicles and moved files and personal effects. As of October 31, the Office of Admissions—home to the staff of undergraduate and graduate admissions—is open for business on the lower level of Christensen Center. 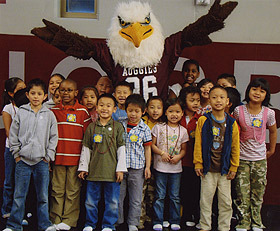 Early this spring, some future Auggies started on their path to college when they were adopted by the Augsburg College admissions staff and by Auggie Eagle. Anne Gardner, a first grade teacher at Bruce F. Vento Elementary in St. Paul, contacted Carrie Carroll, assistant vice president of admissions asking if Augsburg would be a benefactor to her class and adopt her first graders. 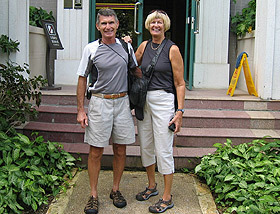 “We agreed to sponsor her classroom and the connection has blossomed,” said Carroll.